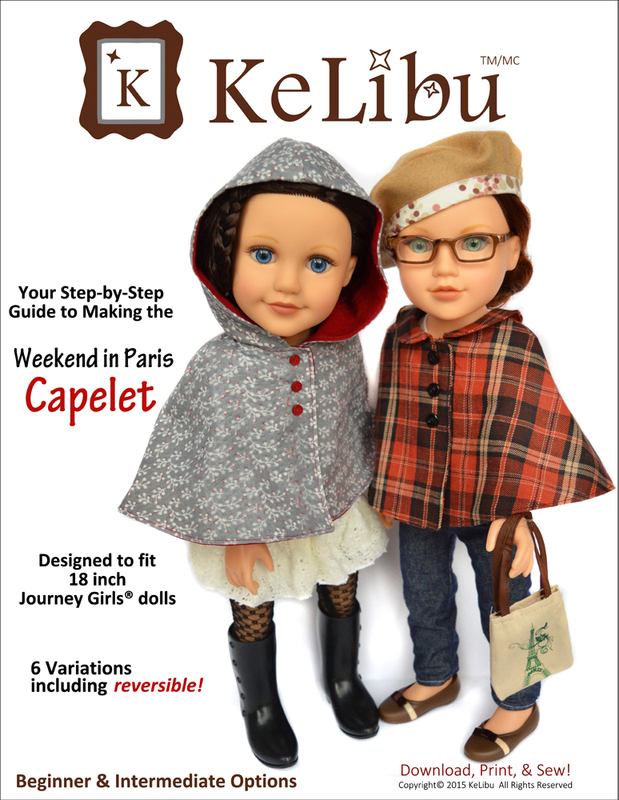 This steampunk digital doll pattern will let you sew an intricate inventor costume designed to fit your Journey Girls® doll. 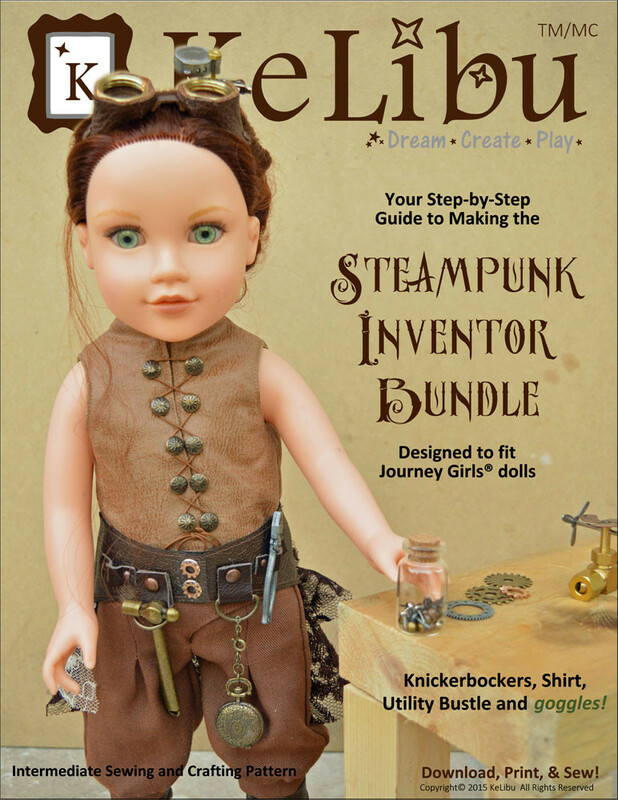 The steampunk movement is built on Victorian science fiction. 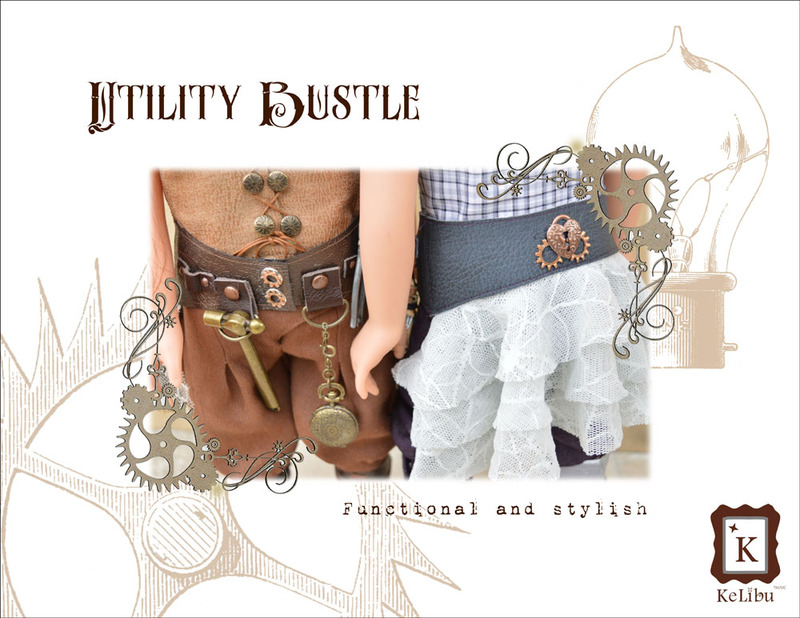 As such, steampunk fashion uses the Victorian and Edwardian eras as a basis and builds from there. 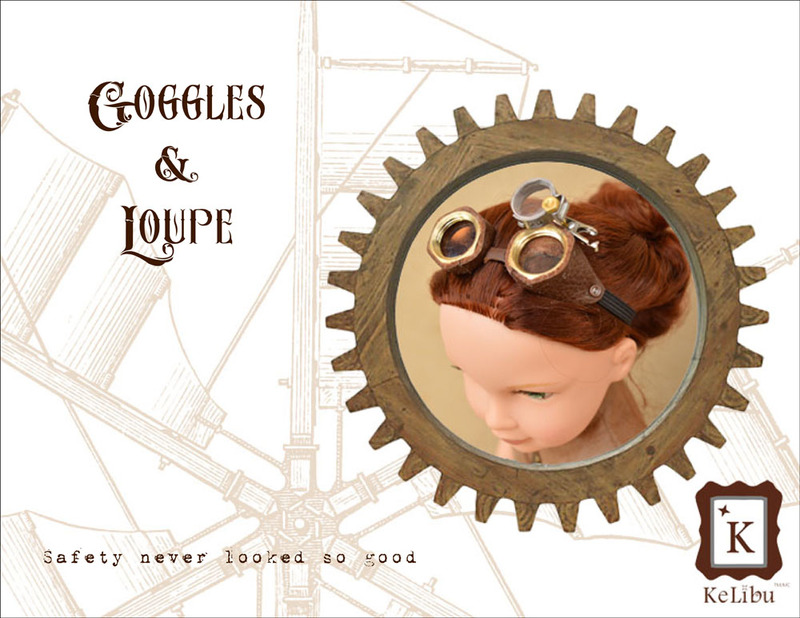 One steampunk blogger advises “dress Victorian and then add”. 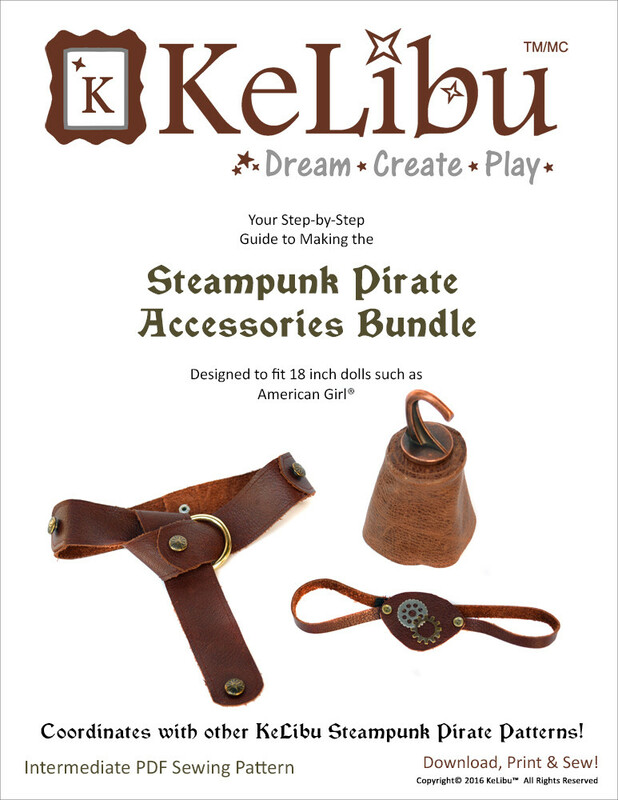 It’s the additions – gears and gadgets – that make steampunk so fun. 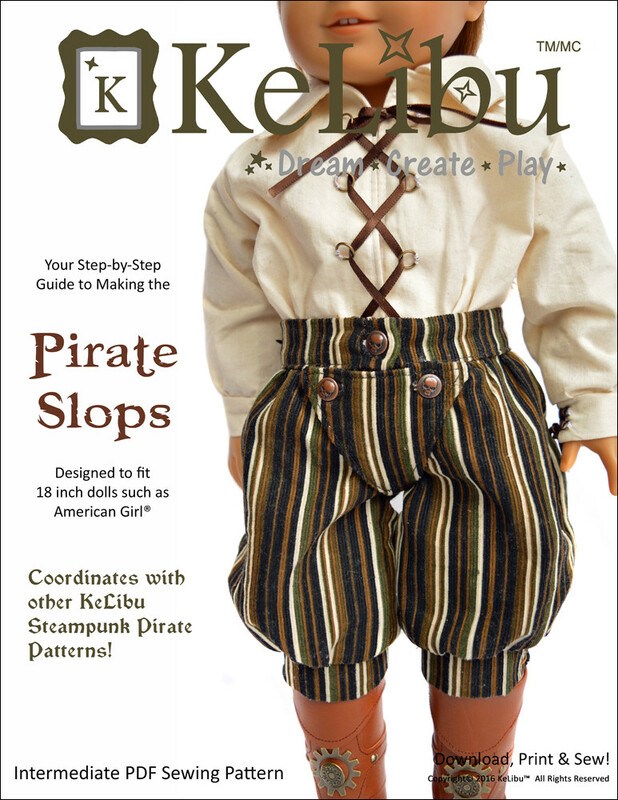 This pattern bundle includes not only the basic clothing pieces – Knickerbockers, Shirt and Utility Bustle – but also some fun goggles! 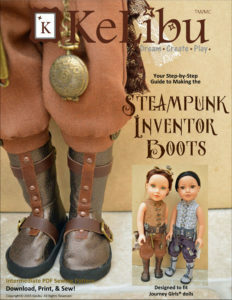 Check out the KeLibu Steampunk Inventor Boots for Journey Girls as a compliment to your Steampunk Inventor outfit! 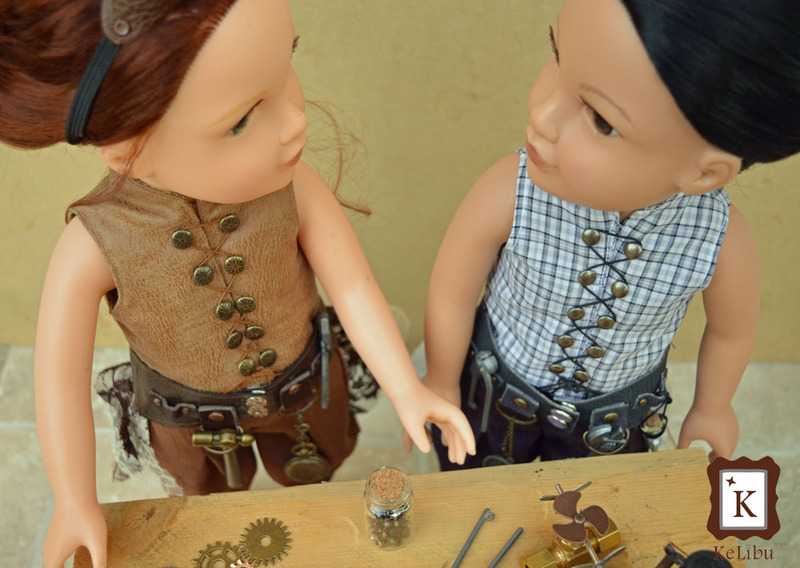 Alternative: 4 x ½ inch conduit locknuts – these are thinner than the brass locknuts and bigger The clear plastic lenses can be sandwiched between two locknuts. ½ inch stainless steel surlok clamp for PEX pipe. Also found in the plumbing section of hardware Alternately, you could use a 5/8 inch hose clamp.